A new course has been developed to train operators of the metal 3D printer located on Charles Darwin University Campus in Darwin, Australia. 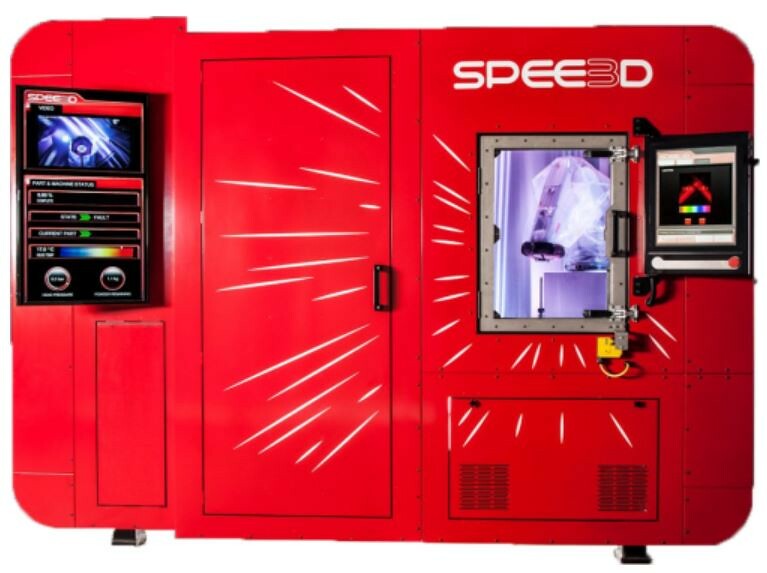 The printer is manufactured by SPEE3D and managed by Advanced Manufacturing Alliance (AMA) (Charles Darwin University, 2018). Students will be required to complete six elements: scan, setup, produce and troubleshoot metal 3D printing according to a National Standard training skill set (training.gov.au, 2018). Troubleshooting is the focus of this presentation. The title of this presentation alludes to an acceleration of learning as this printer has been designed to shoot powder at approximately three times the speed of sound. The metal 3D printer requires no heat process to fuse the metal together. Troubleshooting techniques will relate to issues impacting the printing of metal parts. With the use of educational technologies, students can use multiple senses to build a library of problem-solving skills for this unique and complex piece of equipment. Three common troubleshooting aspects have been chosen in the first phase of developing the training material. These are calibrating for new stocks of powder, cloud forming and under/overbuilding. It is intended that the training will be available in a blended mode of online and face to face. All outputs need to be compatible with the existing Learning Management System (LMS). Project outputs will include a range of formats. Interactive videos and quizzes will be created in H5P. A narrative will be introduced to guide students through troubleshooting steps in Padlet. Augmented Reality will be designed for the calibrating aspect of the 3D printer. This unique printer works with materials that can be dangerous if mishandled. Training in troubleshooting will ensure that operators have the skills to provide a safe and successful operation. Augmented Reality Troubleshooting (ART) has been known to accelerate and assist in troubleshooting in complex environments (Vinn, 2018). Using AR for training can be the first step in gaining these benefits. Using Augmented Reality technology in educational settings can increase motivation and assist with long term memory retention (Leonard & Fitzgerald, 2018). Calibrating is a common troubleshooting activity and has been chosen as best suited to gain benefits from using Augmented Reality. This will allow for the task to be repeated in a safe environment and benefit from memory retention and motivation of the students. The underlying theme of inclusion influences all parts of the project and the conference presentation. To encourage students to interact with the learning material, transcripts, audio, visual and alternative formats will be created. Accessibility checks will be taken for the material that is available online. This presentation will provide a dynamic snapshot of the learning experience designed to stimulate and focus on technical troubleshooting. Join this session to see how educational technology can add another dimension to learning. Vinn, M. (2018, 2 April, 2018). Goggles With a Work Crew Inside. Bloomberg Finance LP, 30.